Are you tired of the heartbreaking cycle of attracting a guy you really like, then suddenly he’s not so interested anymore, or worse, he disappears completely? This can really sting and over time this emotional rollercoaster can take its toll. If a woman is tired of attracting the wrong men, going around in circles with men, she’s confused about whether she should stay with a man or move on, then this is the perfect product. It explores why men pull away and how to bring them back. I reveal the Lips Method - a technique to attract the best men. It also delves deeply into self-worth so that women can improve the way they date and relate to men, long-term. 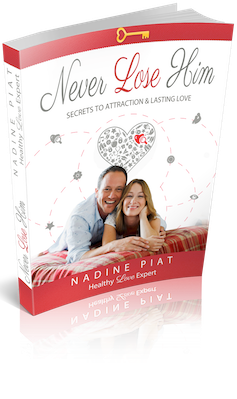 This Never Lose Him offers the perfect mix of deeper emotional learning with cutting edge dating and relationship skills that can be the difference between dead end relationships/dating… and finally experiencing a wholehearted connection with a beautifully loving man.